There are of course other factors to consider. As alluded to in Part 1, the frequency meant to be produced by a driver and what is actually perceived by an audience will depend on the actual frequency being produced. 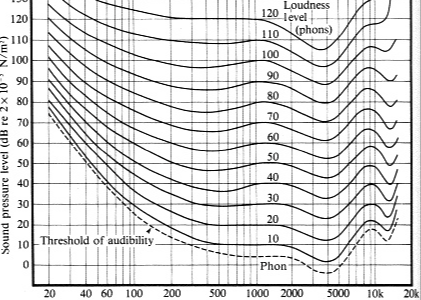 Generally speaking, lower frequencies have to be produced at a higher level to be perceived by the listener as a loudness equivalent to mid-range frequency. It’s really hard to communicate what scale and type of sound system is required for a particular application. It’s actually a really complicated issue and, unfortunately the common currency: number of Watts is actually the worst way to describe a sound system’s scale.